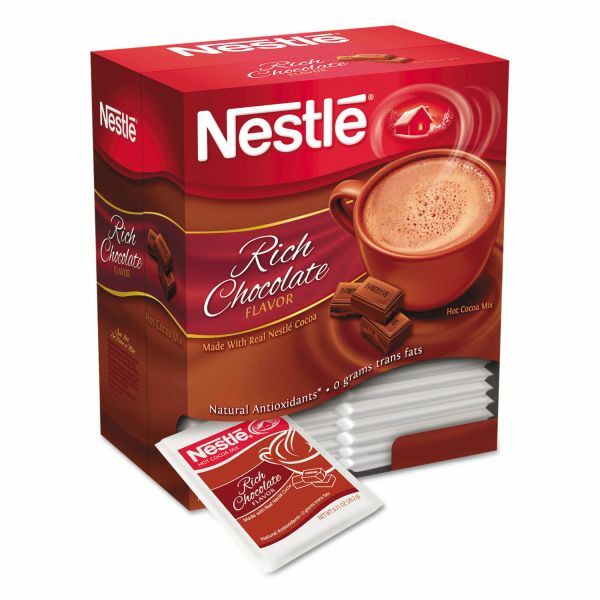 Enjoy the sweet flavor of Nestle cocoa. 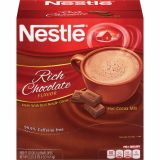 Nestlé Hot Cocoa Mix, Rich Chocolate, .71oz, 50/Box - Hot cocoa mix delivers rich, creamy chocolate. Old-fashioned, rich creamy recipe uses the finest cocoa. Cocoa comes in single-serve packets. Hot cocoa mix contains natural antioxidants, 0 grams of trans fats, and 35 percent less sugar than other major brands.